This takes tropical drinks to the next level with its heritage-based rums made from heirloom Polynesian sugarcane. Rather than rely on commonly-used molasses, the team grows and presses its own cane stalks on-site to deliver thoroughly Hawaiian agricole-style spirits. Every showpiece bottle carries island history and celebrates the importance these strains had on the original cultures who used the harvest as medicine and love offerings. 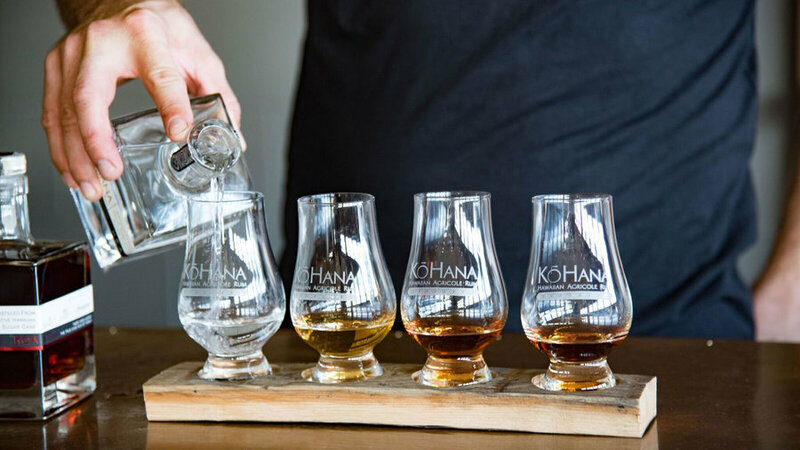 Distillery tours include a trek through KōHana’s 22-acre farm, once owned by pineapple giant Del Monte. There are craft cocktail bars and then there are craft distilleries—and while some production facilities have excellent drink programs, rarely are the two given equal emphasis. , opened in March 2017 by one of the country’s few female distillers, manages to be both. 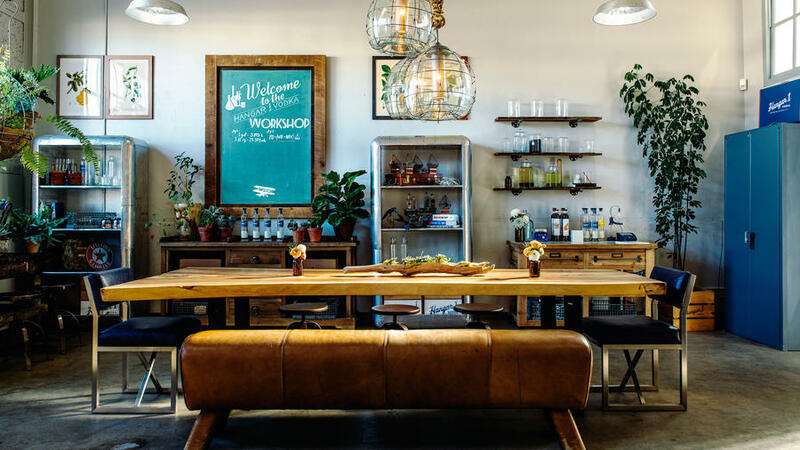 After traveling the world learning and writing about the industry on her blog, , Texas-native Laura Johnson launched this handsome, boutique drink-den. Johnson has two things to work with: a flavorful vodka you’d actually want to sip and a bright, light gin. Yet you’ll find that’s more than enough as you make your way through the generously stocked cocktail menu, which culminates in the gin-and-tonic region. Try the America’s Finest with serrano bitters and California-made Bette Jane’s Hopped Tonic. 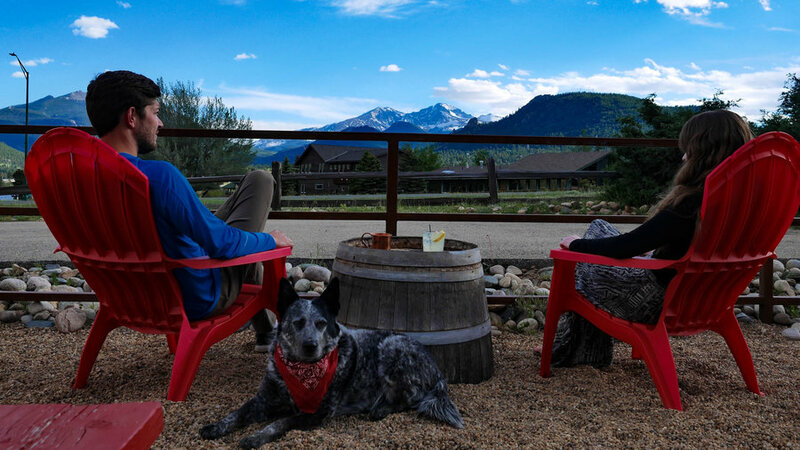 You may know Estes Park as the sleepy basecamp for Rocky Mountain National Park, but in recent years a band of artisan-driven visionaries have energized the town with the type of modern establishments you’d find in a big city—though with much better views. Year-old takes advantage of its position at the top of the watershed to create its super-sippable whiskies made from grain grown within driving distance and served in a spot with a clear view of Longs Peak. The owners, transplants from the South, spent two years crafting the space and amending local laws to become the first legal distillery in town. On a tour, you can learn about the science behind Elkins’ rapid-aged whiskies. But the highlight is in the copper-and-crimson tasting room, where you’ll be among the first to try the barkeeps’ mason jar alchemies (infusions that end up informing what they make in the back) and meet the house mascot, an Australian cattle dog named Ollie. Ask about the DIY kits, mini barrels in which you can age the white whiskey at home. Considering Utah’s teetotaling majority, the state is rising as an unlikely leader of the craft spirit scene. At , the focus is on gin (though the vodka is mighty fine too). Recognizing that few brands do the botanical drink justice, the owners set out to defy expectations and convert skeptical imbibers burned by crummy, well-G&T experiences with their flagship Jackrabbit Gin and a brown Barrel Reserve style. 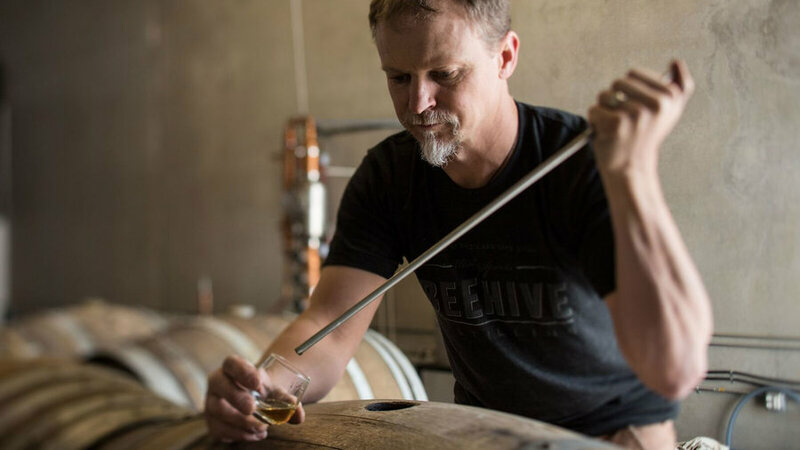 Although Beehive didn’t invent brown gin, they’ve certainly perfected it, aging the seven-botanical rich gin in charred, French white wine barrels for nine months. Between the dapper tasting room, balanced spirits, and reimagined cocktails, these guys may just make a gin sipper of you yet. Run by fourth-generation cattle herders (that’s more than 125 years of ranch life, if you’re iffy on the math) in the middle of the Bighorn Basin, is about as Wild West as it gets—save the Kentucky touches. When the Mead family set out to make Wyoming’s first legal distillery, they enlisted the help of 33-year Maker’s Mark veteran who brought with him a vast understanding of yeast strains, grains, and water. To replicate Kentucky’s limestone-filtered H2O, the team looked 42 miles north of town to a mile-deep aqueduct. While the methods may be Kentuckian in nature, the flavors are all Wyoming: Grains are sourced and hand-picked from the area and barrels are aged in a sagebrush fields, where the dramatically varying temps speed and slow the maturation process, yielding a true Western bourbon. Oregon is so proud of its craft spirits, the state has dedicated an entire trail to help you navigate its free-flowing trade. Dial in to Portland, and you’ll find a concentrated group of fine booze purveyors in Southeastern area’s Distillery Row. Start at , one of the founding brothers of the city’s artisan spirit movement. New Deal, led by a former marine sniper and computer programmer with a knack for experimenting, became known for its punchy vodkas (like the fiery Hot Monkey pepper flavor), but you’ll see the full-scope of creativity represented in the Distiller Workshop series bottles, only available in the shop. Founded in 1982 by a German judge, a descendant of Black Forest distillers, has seen and done it all: It pioneered the artisan spirits movement, reintroduced absinthe for the first time after the U.S. 1912 ban, beat out century-old brands in competitions, introduced the world to American Scotch, made liqueurs and aperitivos, blended whiskies, distilled spirits for other companies, and even garnered a nod from Julia Child. St. George may have predated modern craft distilling by more than two decades, but they are by no means Old Guard. Visit the repurposed naval hangar that houses the vast scope of fruity brandies, vodkas, and gins, as well as other forward-thinking creations, to see why 35 years later St. George still tops the list of of James Beard Award nominations and remains at the forefront as newcomers trickle out. 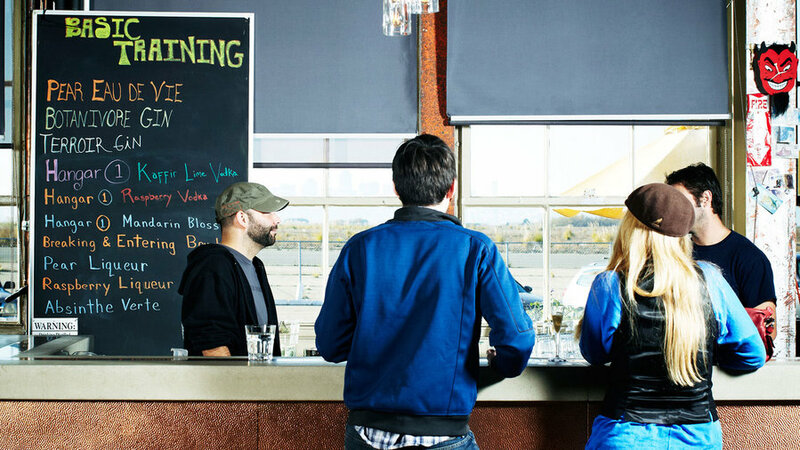 Located right next door to St. George Spirits in a decommissioned airplane hangar with sweeping views of San Francisco Bay, offers tours, tastings, and bottlings infused with local ingredients. Beyond the booze, part of the fun is seeing how they’ve tricked out their massive space. A distressed-wood bar, hanging plants, outdoor gardens, and aviation-themed touches like bomber jackets and an antique decoy plane add personality. Head distiller Caley Shoemaker is known for his limited-edition batch of vodka made with actual San Francisco fog, but if you can't snag a sip we recommend the Buddha’s Hand citron vodka for its clean and refreshing taste that's perfect to perk up a vodka martini. 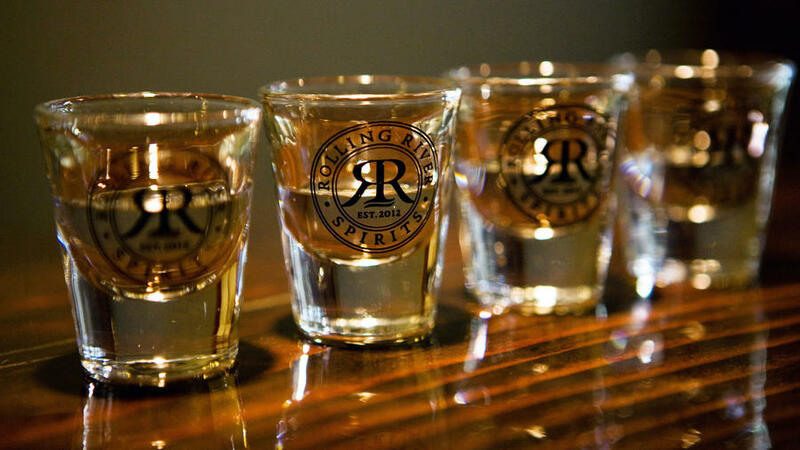 put modern Western spirits on the map. The company has taken major leaps since opening in a small livery downtown in 2006—they launched satellite locations, pioneered concepts for whiskey-fueled experiences, and as of last year, partnered with the company who makes Corona and Svedka in a $160 million deal—but what keeps it rooted and beloved at a local level is the focus on quality, hospitality, and transparency. 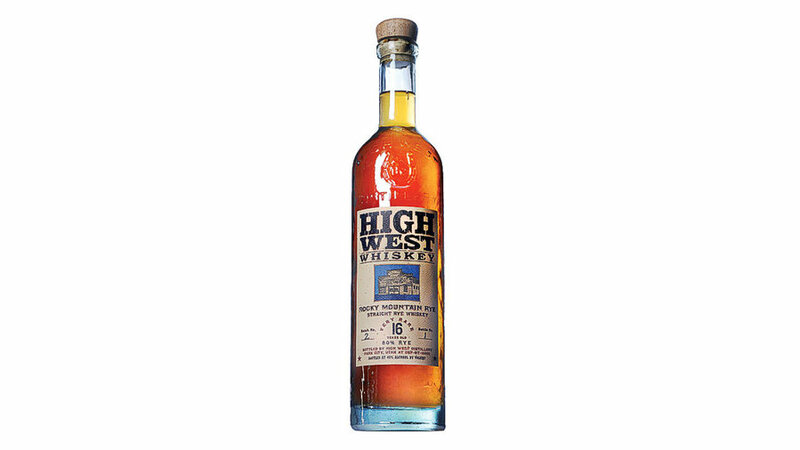 While some micro-distillers glaze over the sourcing of spirits made in Indiana or other places, High West proudly promotes the art of blending as a traditional element of distilling that allows more room for innovation and collaboration. 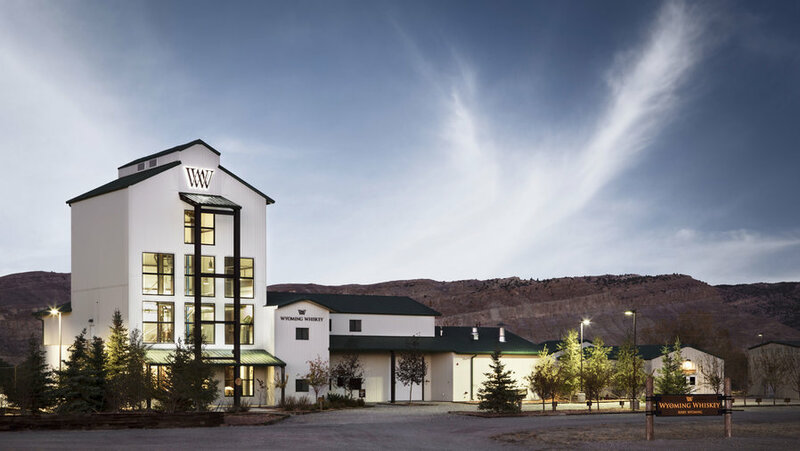 To accommodate the swell of fanatic imbibers, the company debuted a sleek, new distillery, complete with a restaurant, at the 3,500-acre Blue Sky resort last year. We’re still partial to the more personal Nelson House experience, where pre-fixe pairing dinners are hosted for whiskey aficionados in a family-style setting. Ask anyone in Colorado’s booming spirit scene (80 distilleries strong and counting) to name their top competitor, and the name comes up time and again. 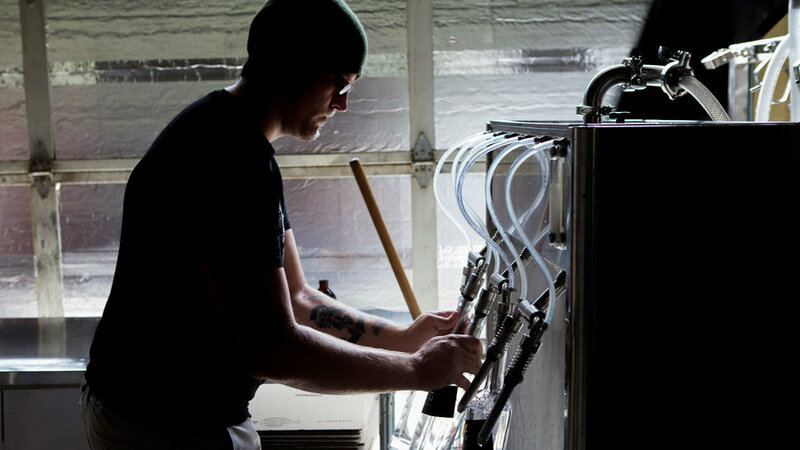 Laws functions on principles: Their type A approach to distilling goes beyond just making and bottling, as they labor over the process and emphasize education. The word “House” in the title hints at its status as a safe haven for proper whiskey production and consumption. Last month, the guys released a Bottled-in-Bond rye and bourbon, becoming the first Colorado distillery to earn the prestigious seal. Few brands have the means or patience to adhere to the stringent rules set forth by the 1897 act, which states that the spirit must be aged in a government-certified warehouse and made by one distiller at one distillery in one distilling season. Just the type of challenge that only a brand like Laws could master. American single malt whiskies are quickly gaining ground on their Scottish forefathers, a movement helmed by artisan distillers obsessed with the idea of capturing regionality in a bottle. Seattle’s released their version last year using Old World artistry (including custom copper stills made in Scotland) with Pacific Northwestern ingredients. 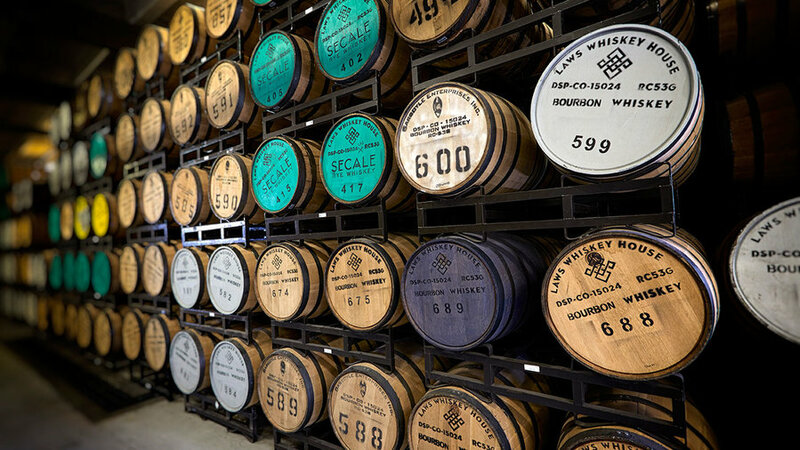 Like the other whiskies on their lineup, the single malt has beer-like qualities that come through from the distillers' (both former brewers) use of innovative brewing techniques in their process. If you’re not into the brown stuff, go for the gin, which has been racking up gold seals since the brand debuted the botanical spirit in 2013. Located near Pike Place Market on the waterfront, the team is conscious of preserving the environmental beauty of the area by adhering to sustainable practices to save water and energy. 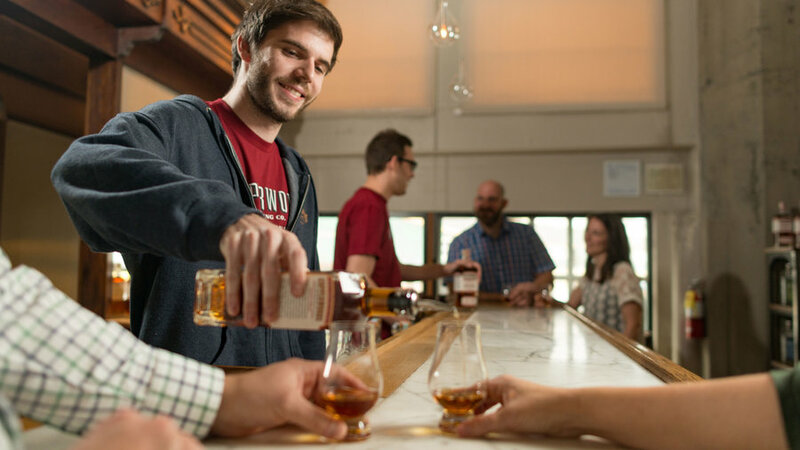 Head to , the Northwest’s largest operation, where you can buy a Portland Distillery Passport for $20 to get you complimentary tastings at each stop. Then grab a hipster-approved Westward Whiskey T-shirt on your way out. 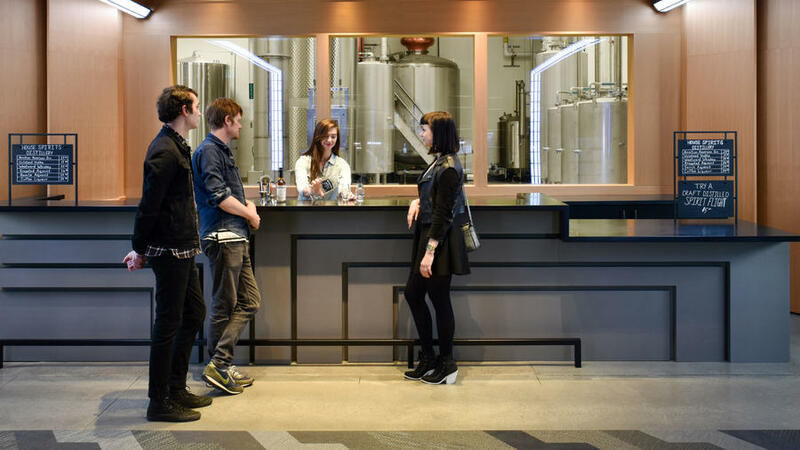 Only a 15-minute walk from House Spirits Distillery, is a family-owned operation. Joan Rickard is usually on hand to introduce guests to the vodkas, gins, and aquavits turned out by hand-built stills. It’s pure Orange County chic at Santa Ana, California tasting room. 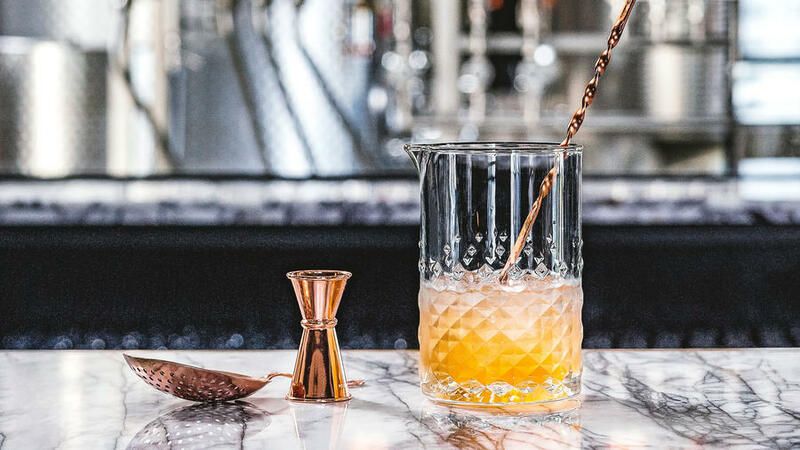 You may find yourself too-easily sinking into one of the leather ’70s-style chairs while gazing at the copper machinery behind the marble bartop—an ounce or so of vodka, gin, whiskey, or aquavit in hand, of course. If curiosity gets the best of you, book a weekend tour and see up close how the stuff is made. Afterward, take a mixed cocktail outside and lounge against the graphic printed pillows strewn on the patio furniture.